December 3, 2018 Fortnite’s Support-A-Creator event is now a permanent part of the game. 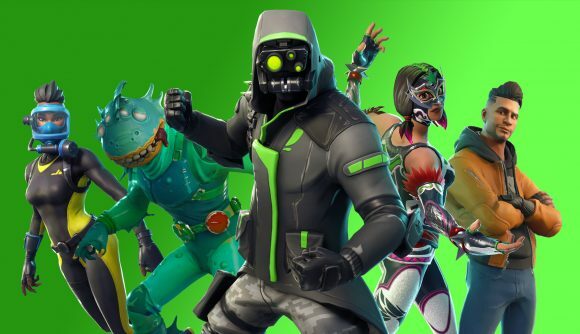 Fortnite’s Support-A-Creator program launched a few months ago to offer content creators a way to earn money from their followers’ in-game purchases. The initiative was launched as a way to thank creators “during the holiday season,” but it has now been “permanently extended.” So if you’ve got a YouTuber or streamer you want to support, you can continue doing so for the foreseeable future. If you’ve yet to make use of Support-A-Creator, you can simply select a creator to support via their Epic tag in the in-game item shop. While your support is pledged, a percentage of any V-Bucks you spend will go to support your creator of choice. Specifically, creators get $5 for every 10,000 V-Bucks spent by supporting players, whether that be on Fortnite skins or anything else. 10,000 V-Bucks translates to $100, so that means roughly 5% can be paid out of everything Epic earns from in-game purchases. But the percentage can actually be a bit better than that, since the promotion also applies to bonus V-Bucks you can pick up from the Battle Pass or by buying in bulk. Creators have to register to be eligible for support, but the requirements are pretty broad. You need to have regularly made Fortnite content in the last month, and have at least 1,000 followers on a “major social platform.” It’s open worldwide – except in China, Iran, North Korea, or any other countries where U.S. law might get in the way. You can find more details at the official site, along with a full list of eligible creators. The Fortnite season 7 release date is coming in fast, so you’ll have plenty of new gear to spend V-Bucks on if you want to pay those profits forward.